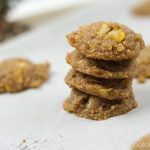 Make these refreshing gluten and dairy-free pineapple cookies full of chunks that can be as calorific or healthy as you wish. Ok, so these pineapple cookies don’t contain any chocolate OR peanut butter. And yes, I still found them very yummy. Will wonders never cease? 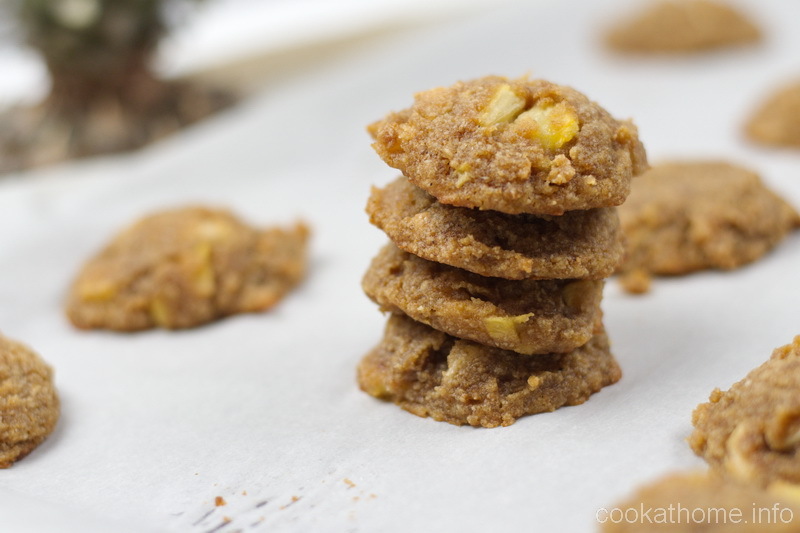 Anyway, we had some leftover pineapple in the fridge after making pizza one night, and I remembered seeing a recipe for pineapple cookies in a cookbook I bought while Grant and I were on Route 66 a few years ago. So I made them. And loved them. And so a few years later I made them again. And loved them again. And then I thought to myself, I need to share this with others. So here it is … if you’re into interesting ingredients in cookies, give these a go and you’ll be pleasantly surprised. I recently took a batch of these pineapple cookies to a church picnic and they went like hotcakes. Well, hotcakes with pineapple in them! I’ve given you a few options as to whether you want to use processed or non-refined sugar in here. Either way, these are quite yummy – it just depends what you have in the pantry at the point in time. And if you have any leftover pineapple, maybe you could look at making these pineapple polenta cupcakes. Or using in these bacon wrapped turkey cutlets. Did you ever think that pineapple could be so versatile? Preheat oven to 350F. Prepare 2 baking trays with parchment paper. Cream coconut oil and sugars. Add eggs and mix well. Add all other ingredients - the dough will be very stiff. Drop by teaspoonfuls on cookie sheet and bake for 10 minutes. Allow to cool slightly before moving to a wire rack to fully cool. If you are not concerned about being dairy-free, use shortening or butter instead of coconut oil. If you are not concerned about sugar, feel free to substitute brown sugar for the raw sugar and granulated white sugar for the Stevia. To make these grain-free, use 3 cups almond flour and 1 cup tapioca starch as a substitute for the gluten-free flour. My grandma used to make yummy pineapple cookies and it reminded me of her. I must try these out. Please do! They are sweet with bursts of pineapple! And you can use the leftover juice with some powdered sugar to make a yummy frosting as well!